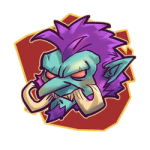 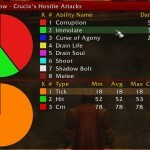 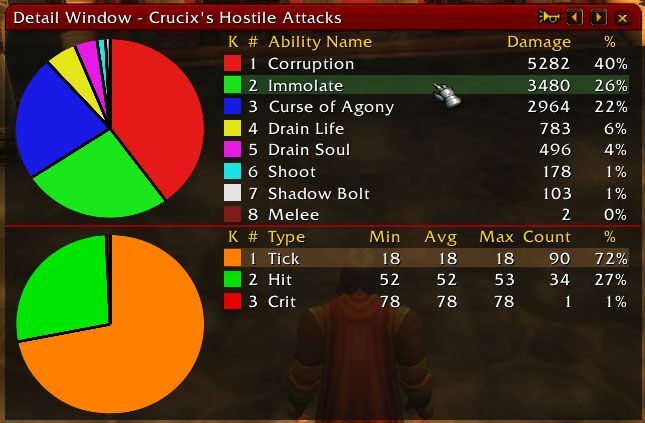 Recount is a graphical damage meter written by Cryect. 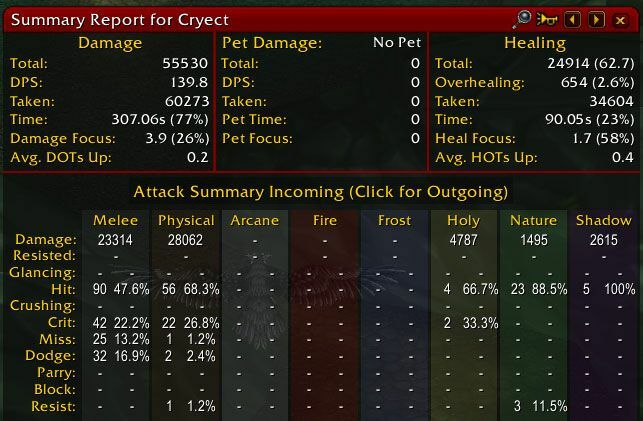 It gives you the ability to view many statistics about your character, party, raid, pet, etc. 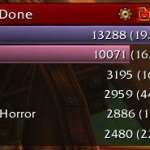 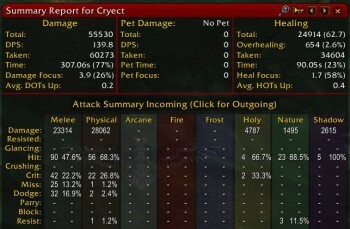 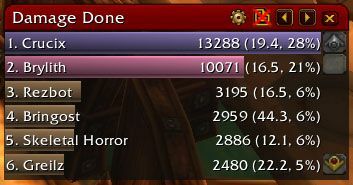 You can look at groups such as overall healing, healing per second, damage, and DPS in a detailed tables and charts.